Perhaps one of the most interesting streets in all of Havana, Neptuno teems with life at all hours. Similar to San Rafael, this street has many shops and businesses in both National pesos and dollars. You can tell them apart by the quality of the goods. If the window shows items that are imported and brand new, then it is a Dollar store. On the other hand, if you see inferior goods or vintage items, that will be the Peso shop. 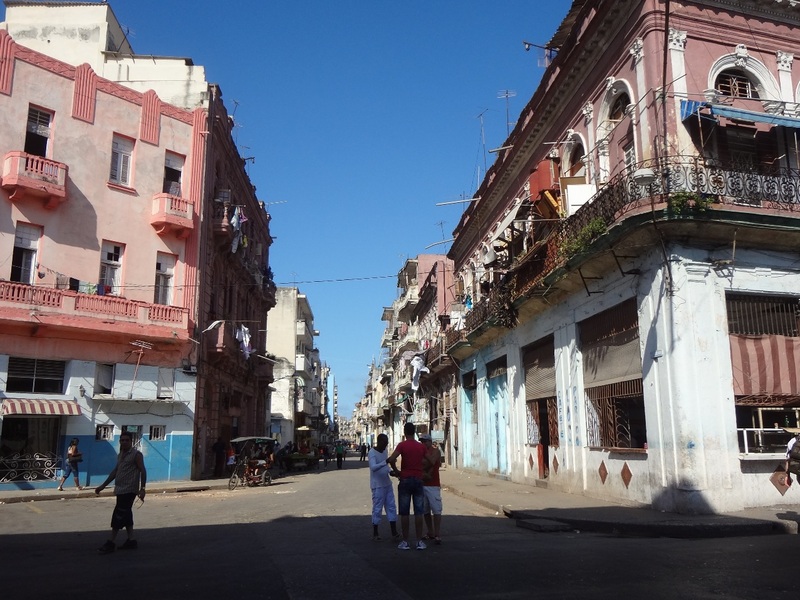 Neptuno is a lively main artery cutting through Havana. There are dozens of peso shops like this one, as well as every kind of underground business. It is the throbbing heart of Central Havana, where everyone and everything can be found at some time. There is always a need for tire repair for every type of vehicle. 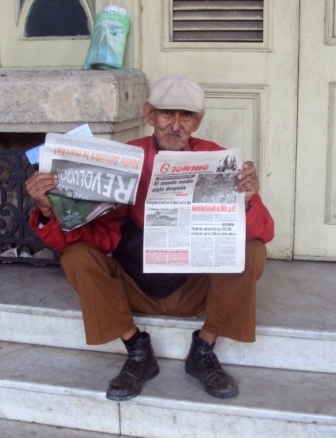 Wherever you go in Havana, old people will be selling copies of Granma, the official Cuban newspaper. Further up, you can get a fascinating look at the way our grandparents had their news printed. A worker has to be fast to keep up with these pounding presses. 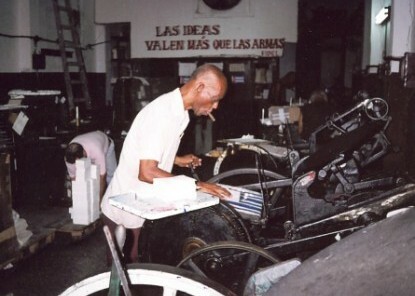 The work never stops as long as the presses are running.